The Skinny Player kinda reminds me of the O+ Music Campaign where the promotional kit offers one song in various mediums. 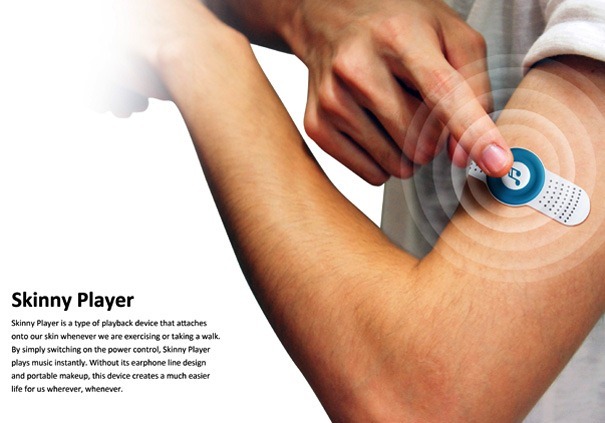 The concept here with the Skinny Player is to offer one album space on a portable – Band Aid-esque device. 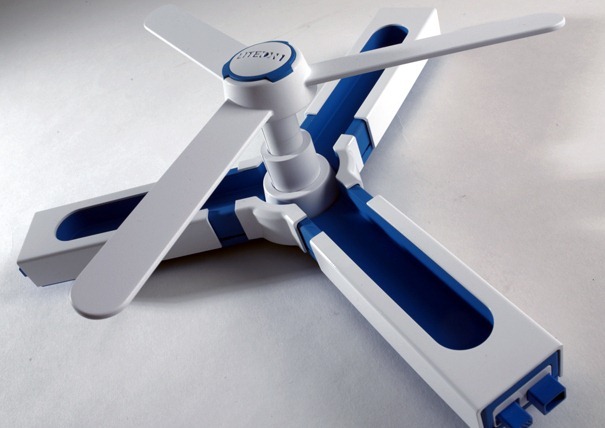 The self-sticking player houses a play/stop button and flexible speakers. Although I am not so sure about the sound quality for the output, but the idea is worth exploring. The user-scenario is for exercise or such places where you want to keep your hands free, but still carry your music with you. The unique angle to the player is that hopes to use your body heat for powering the device. Now if this is possible or utopian , is left to be seen. Own that X-ray Machine ! So you say you need a portable x-ray machine. Well. Let me tell you about this particular one. 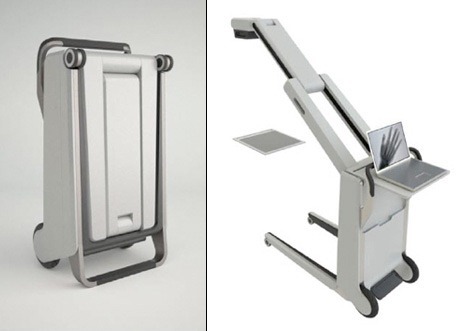 It’s called “RAY”, it’s designed by Cavallius Design group, and it’s just so very compact. Let’s say you’re on a camping trip, and you’ve got a generator with, but no x-ray machine! Well now you do! Let’s say you’re at the skate park and you’ve broken every bone in your body, and you want to see how bad it is, as soon as possible! Well now that time is cut in half! Just bust out your very own RAY! Slip Grips are designed to help individuals with limited hand mobility manipulate objects that they would otherwise be unable to use. 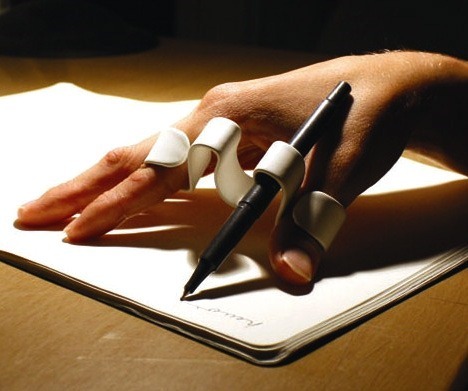 The product is used by slipping the finger holds over the thumb and forefinger and then snapping objects in to place via the clips located in between these finger holds. At a slight angle, the clip directs objects placed in it downward, giving the user a natural range of motion. Designer C. Darius Delaunay-Driquert has dreamed up a more utopian society where amputees are not bound by the limitations of their handicap, but enhanced by them through bionic prosthetics. 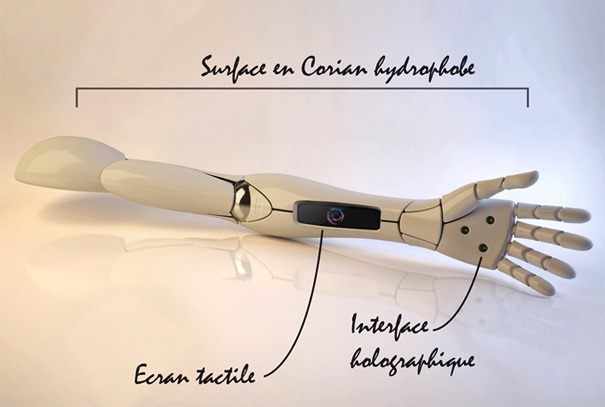 The “METIS” connects to the human nervous system and gives an amputee a full 360˚ range of motion, as well as access to virtual dimensions via integrated 3G and Wifi. Now before you jump to the any negative thoughts of how silly a WiFi enabled bionic arm may be, keep in mind that the designer is simply proposing we dream of next step enhancements to the handicapped, instead of simply playing catch up with our current body design. 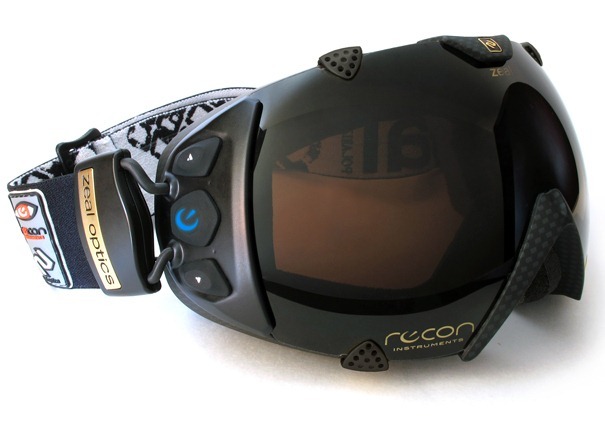 Recon lets us know that this pair of goggles right here, “Transcend,” is the only pair in the world that provides you with real-time feedback including speed, latitude/longitude, altitude, vertical distance traveled, total distance travelled, chrono/stopwatch mode, a run-counter, temperature and time. Transcend has GPS capabilities, USB charging and data transfer, and post-processing software all with a super easy-to-use, futuristic interface. Recon hints to us that soon there may be an open API app development and download community – with apps!